With unspoken reservation, I boarded a cruise ship at the Port of Miami and set sail on my first Caribbean cruise. As I joined the more than 1,000 guests aboard the vessel and waved back at well-wishers along the South Beach shoreline, I began to experience a hint of the exhilaration my husband, Leroy, had assured me I would feel. I glanced at a sign in the ship’s atrium that read something like, “Book Your Next Reunion With Us,” but paid little attention. Then one day I watched a swarm of excited children, scampering on an upper deck; I later learned it was a scavenger hunt. I absolutely enjoyed the musicals, comedy shows, food, dining services and waking up to the beautiful landscapes at the ports of call. I survived … and had a great time! 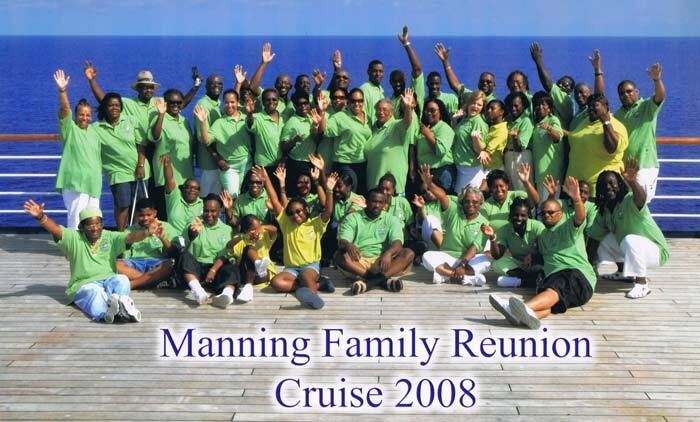 At the next Manning Family Reunion in Cincinnati, Ohio, I talked with cousins who live in Florida port cities, but none were interested in hosting a reunion cruise. On the last day, just before the next reunion location vote, my husband and I decided to throw our hats in the ring. My brother Marvin made a mental headcount and said, “It looks like the cruise vote is going to win.” It was the last choice to be voted on. I experienced mixed emotions as the cruise received the highest number of votes—from hyped and excited to anxious and asking, “What did I just get myself into?” The next six months were spent picking a cruise line, choosing a destination, understanding policies (passports required/not required), reassurances (including “No, we won’t sink” and “I know the price is higher but it includes everything”). I had to consider family members’ physical limitations and health concerns, and needed to plan a program similar to the traditional one we always have on land. Our plans had to include activities, a banquet and memorial service. We found a way to do it all! With assistance from the cruise line, I was given space to hold meetings and a cocktail party. We were allowed to use electric candles for our memorial service and, for a small fee, got technical assistance and equipment for our video presentation. The family enjoyed each other’s company every evening for an elegant dining experience. That alone was worth the higher cost. There was little need for day or evening activity planning. 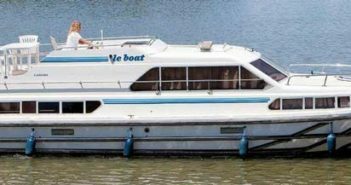 The ship offered more than enough events and recreational activities. Everyone especially enjoyed the festive atmosphere of the Captain’s Night. Parents were comforted that children were being supervised, in age-specific groups, by professionally trained child care workers. This service was included in the cost, along with 24-hour ice cream and pizza. Fifty participants took the reunion cruise, compared to approximately 125 participants at the previous reunion. We tried something different, new and adventurous. It takes time for nontraditional plans to root. But, those in attendance experienced a new level of reunion enjoyment and family vacation fun in Key West, Florida, and Cozumel, Mexico. I was told it was awesome! Three reunions later, the Manning Family Reunion is headed out to sea again. We’re cruising to Jamaica and the Cayman Islands. 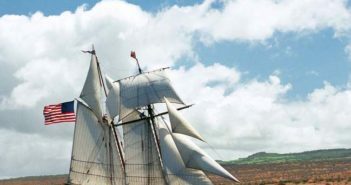 Our theme this time is “Charting a New Course.” I don’t know how many will participate, but I do recommend to Reunions magazine readers an occasional cruise as a location option. A cruise would be particularly beneficial for a short-handed host. Since many reunions are scheduled during summer months, I also suggest you choose, if feasible, a cruise that sails the latter half of August, when rates are somewhat lower. Look for cruises that include a Saturday and Sunday to reduce the number of days family members have to take off work. “Exciting and New,” an expression from The Love Boat on TV, is exactly what a reunion cruise is. As I prepare for this summer’s cruise, my prayers aren’t focused as much on attendance as they are on safety, unity, and memories of a lifetime.